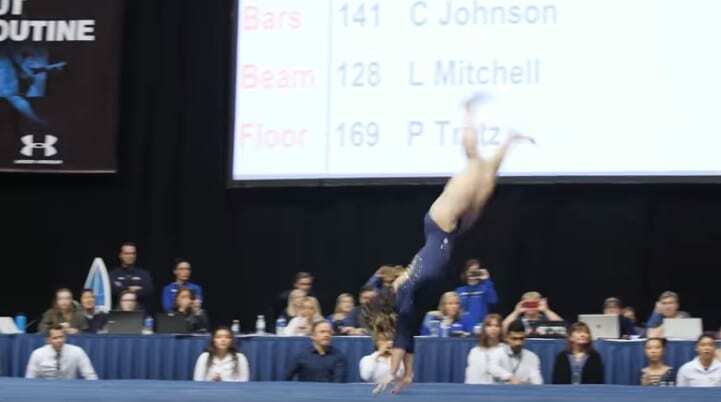 People who aren’t gymnasts themselves are often amazed by the routines that gymnasts perform. The way that gymnasts are able to move their bodies so effortlessly is impressive. We can only imagine the training and hard work that goes into their routines. It can’t be easy! 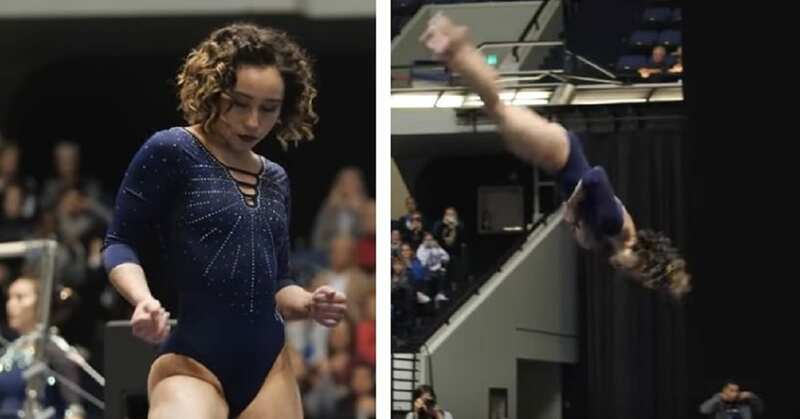 A recent performance has had both gymnasts and non-gymnasts alike in shock. It’s really something special. You can’t miss it. 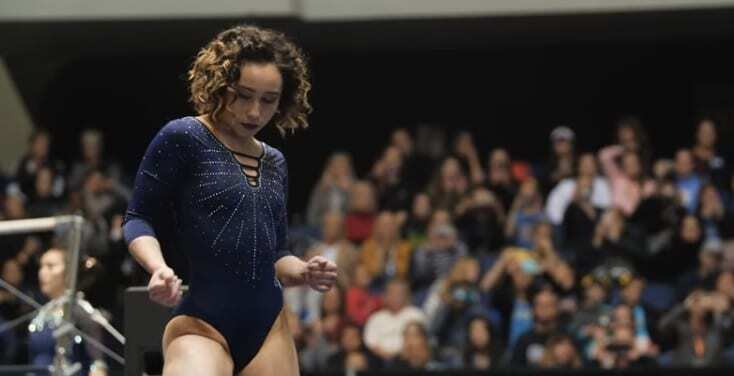 Earlier this year, Katelyn Ohashi, a gymnast at UCLA, performed a gymnastics routine that won her a ton of recognition. She has been on the gymnastics team at the university since 2015 and has competed as a member of the team previously. 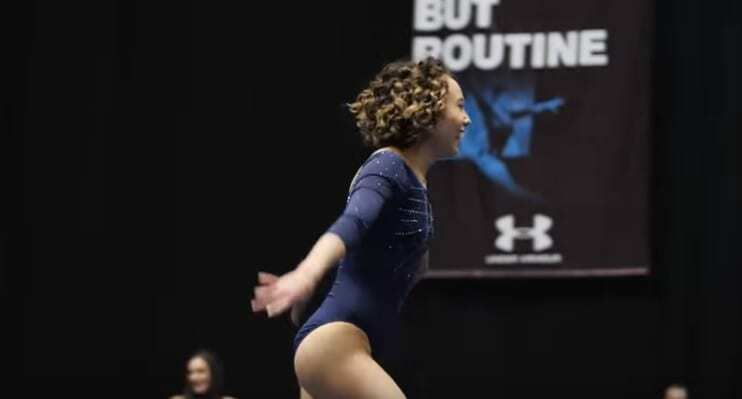 Unfortunately, according to an interview posted by Inside Gymnastics, Katelyn did have to take a break for a while due to injuries from a car accident that involved fracturing her back as well as both her shoulders, but even that couldn’t stop her for long. At twenty years old, she has obviously already been a gymnast for years and puts lots of effort into her work. Now, Katelyn is back and better than ever. She performed the best routine she has in her life. It was choreographed to a few R&B and soul songs, and of course, there were some Michael Jackson favorites in there as well. To go along with the music, Katelyn threw in a few quick dance moves throughout the routine. She and her coaches planned it perfectly. The whole routine really showcased Katelyn’s contagious energy. She seemed so enthusiastic. During the performance, Katelyn also appeared to be relaxed. She wasn’t visibly nervous or anything. She was just ready to go and completely at ease! The school’s gymnastics team members weren’t the only ones impressed by Katelyn’s moves. Everyone was blown away by this performance. At the actual competition, you can see and hear the fans going wild in the background. They were just soaking up all of her energy. Then, once the video was posted on social media, it went viral. Everyone around the world is enjoying Katelyn’s performance! When you watch the video, you can’t help but dance in your seat as you see Katelyn moving and grooving across the floor. She performed at a gymnastics competition known as the Collegiate Challenge. It was held in Anaheim, California. Since her accident and her other injuries, Katelyn has come a long way. She is such a talented gymnast, and we know there’s a lot ahead of her. Maybe we will even see Katelyn in the Olympics someday. With her skills right now, she’s bound to make it far in her gymnastics career. The best part of this whole performance is that the judges liked it too. Katelyn earned herself a perfect 10! Not only did Katelyn get a perfect 10. Her amazing performance put her entire team in first place at this competition! We have to say that Katelyn definitely deserved the perfect score. She also earned all of that recognition from her new fans across the globe who have watched her video and fallen in love with her style. Are you ready to become her next fan?